The Caribbean Travel Marketplace recently wrapped up in Montego Bay, with suppliers in town from all over the region. 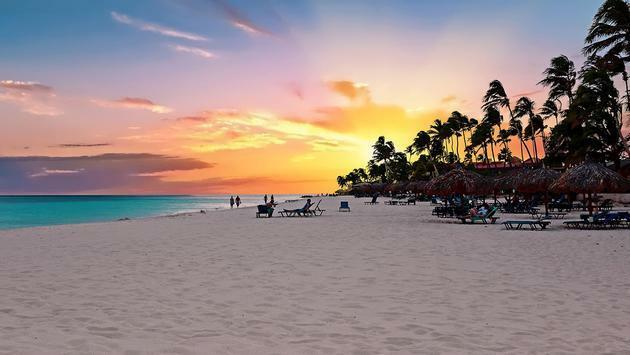 Photo shows a beach on Aruba. Nearly four decades old and still going strong. On the heels of another record-breaking year with total arrivals exceeding 4.3 million visitors, the Jamaica Tourist Board (JTB) is celebrating the successful conclusion of this year’s Caribbean Travel Marketplace. Produced by the Caribbean Hotel Tourism Association (CHTA) in collaboration with co-hosts the Jamaica Hotel & Tourist Association, the Jamaica Tourist Board and the Jamaica Ministry of Tourism, the event took place at the Montego Bay Convention Centre from January 29-31. This year’s trade show marks the fifth time that Jamaica hosted the event, welcoming 576 supplier delegates from 147 companies. For more information on Jamaica, go to www.visitjamaica.com. For more information on Caribbean Travel Marketplace, visit www.chtamarketplace.com.